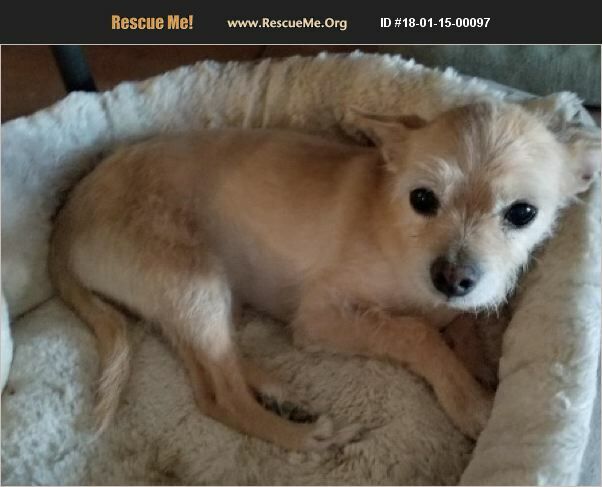 Benny is approximately 8 years old and was rescued from Maricopa Shelter. He is housebroken, and leash trained (though he does sometimes mark). He is generally well behaved and pretty low maintenance. He is shy though usually friendly with new people, though he would do best without young children and a quieter home. He is sometimes nippy if people move to fast or in strange situations (vet or groomer) He loves to snuggle and likes riding in the car. He is chipped and received a dental cleaning while in the rescue.